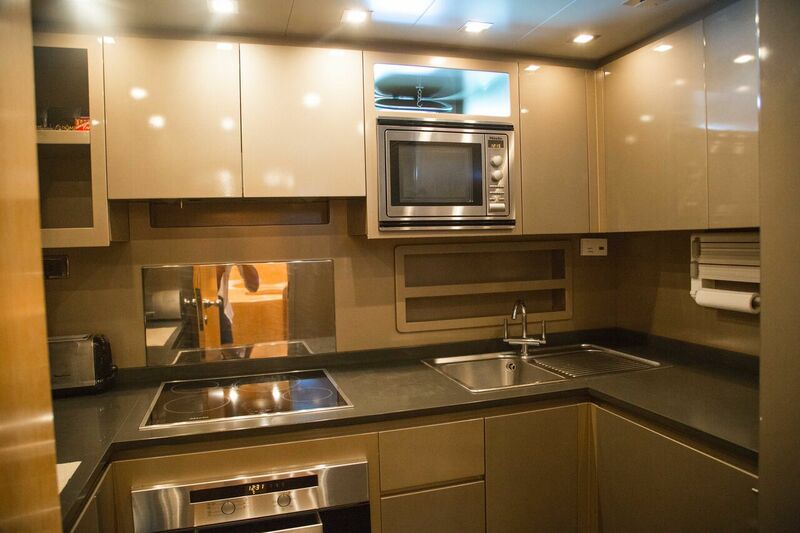 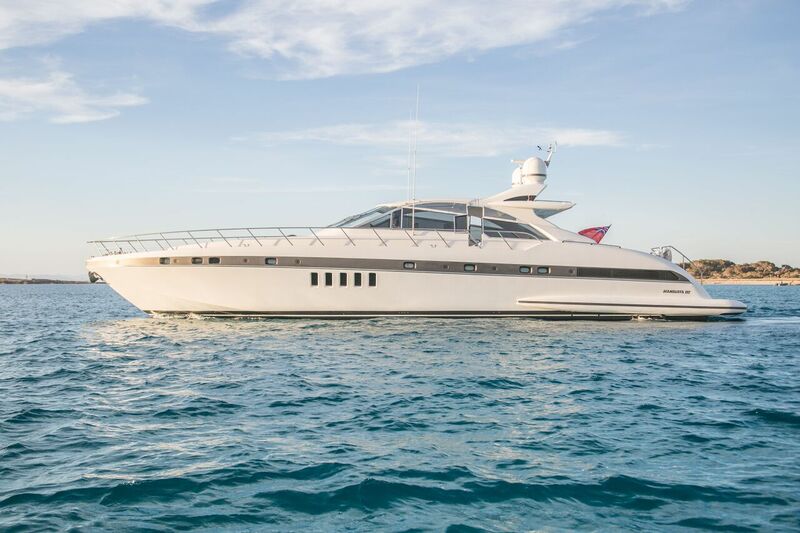 It is a perfect yacht for groups or families with children, thanks to its spacious design that offers all the comforts to spend a dream vacation. 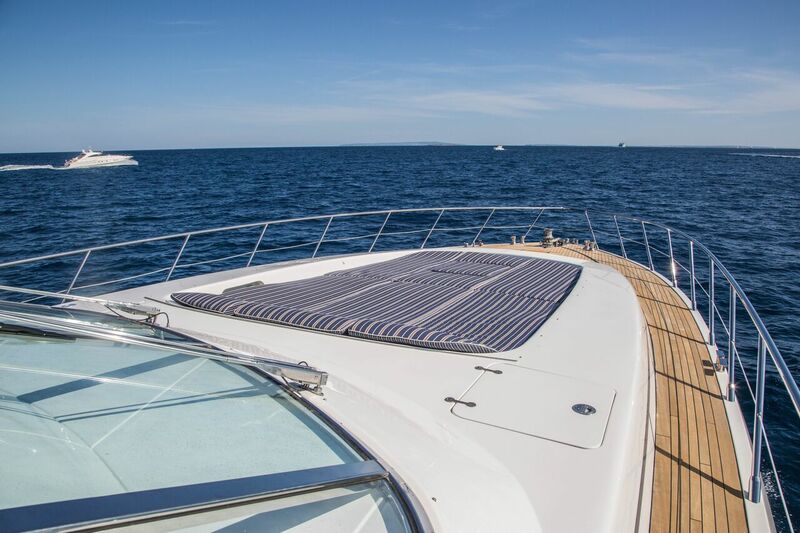 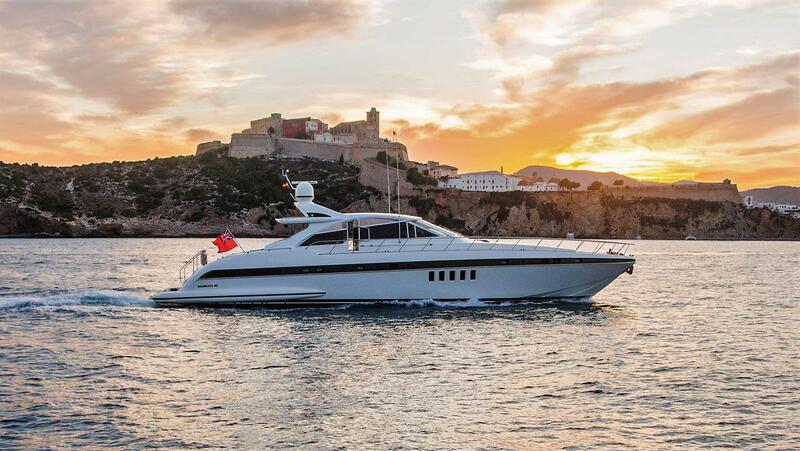 Thanks to its spacious open-style design, its large mattresses for sunbathing both bow and stern, make it the perfect yacht for luxury charter in Ibiza and the Balearics. 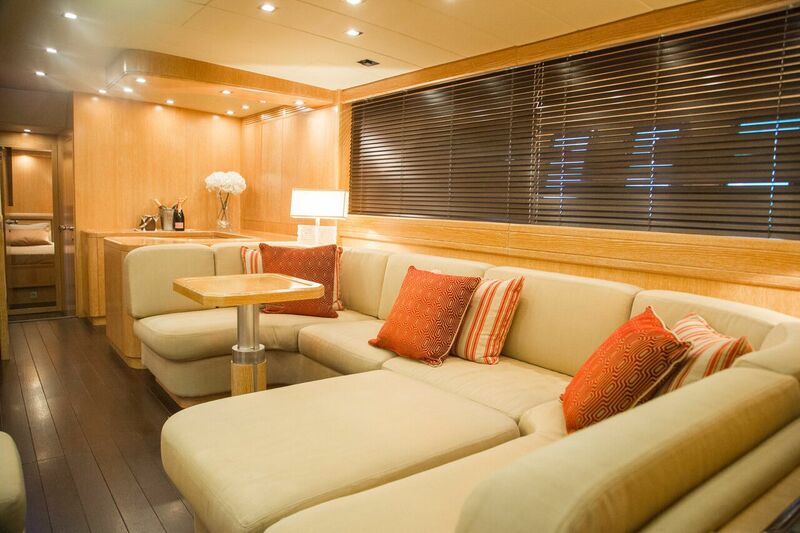 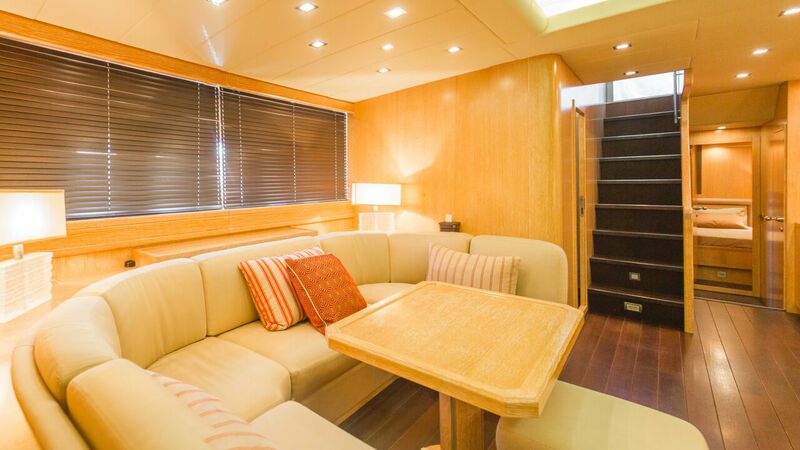 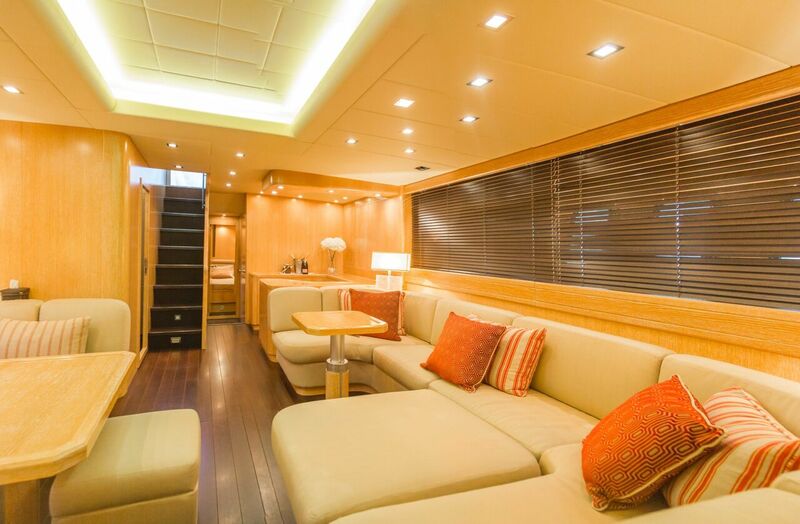 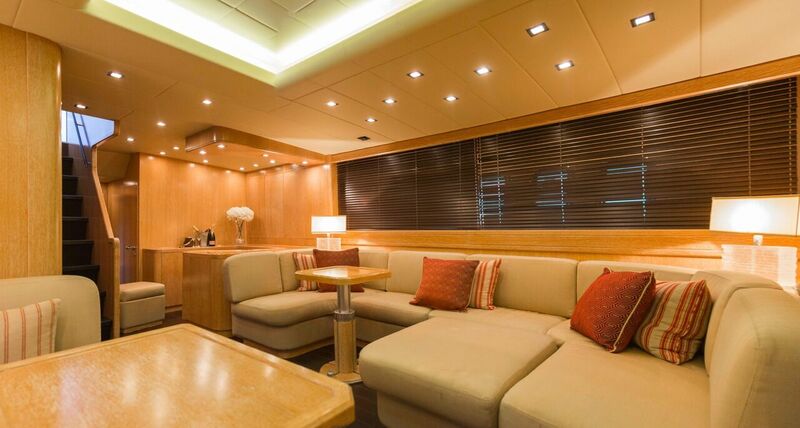 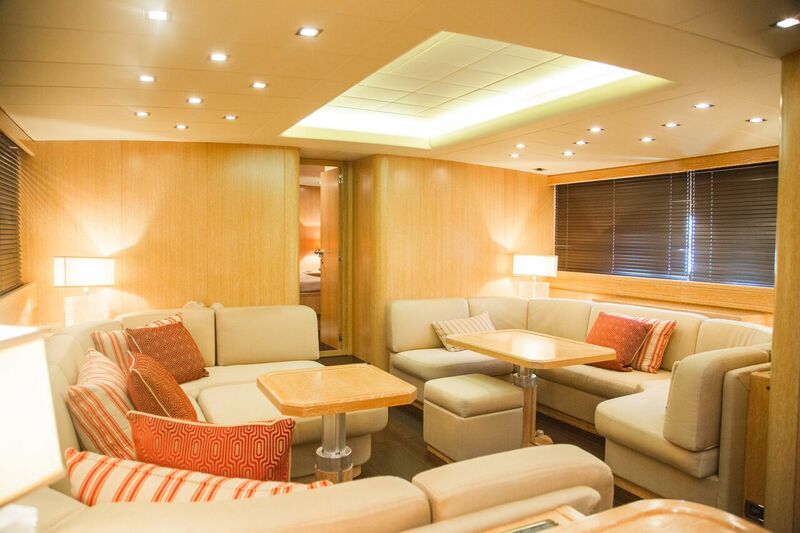 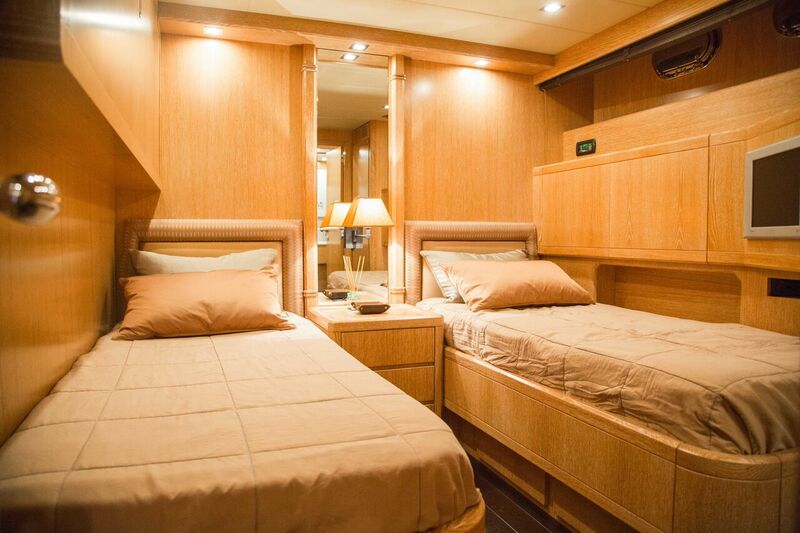 It has 3 guest cabins (1 Master Cabin + 1 VIP + 1 Twin) that host 7 guests overnight. 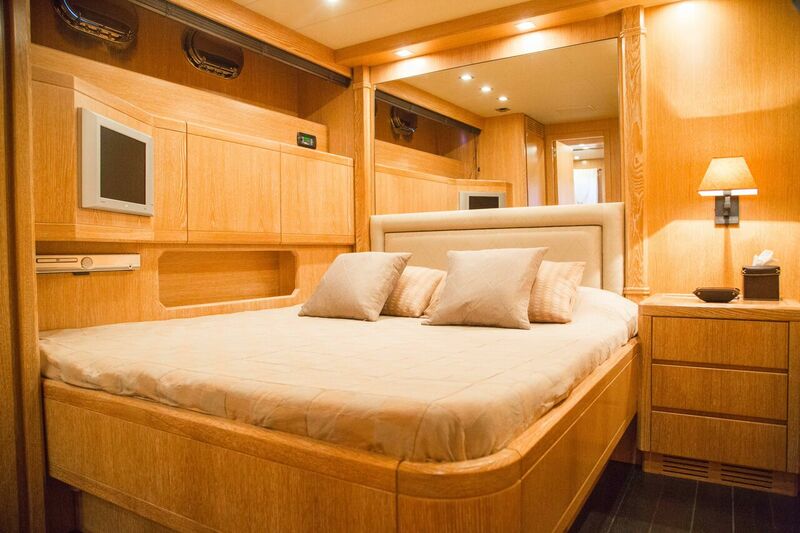 TV / DVD / MP3 entertainment system, air conditioning, Tender williams 325 jet, wakeboard, donut, snorkelling equipment.